B. Thomas (Arlington, Texas, United States) on 22 October 2018 in Landscape & Rural. 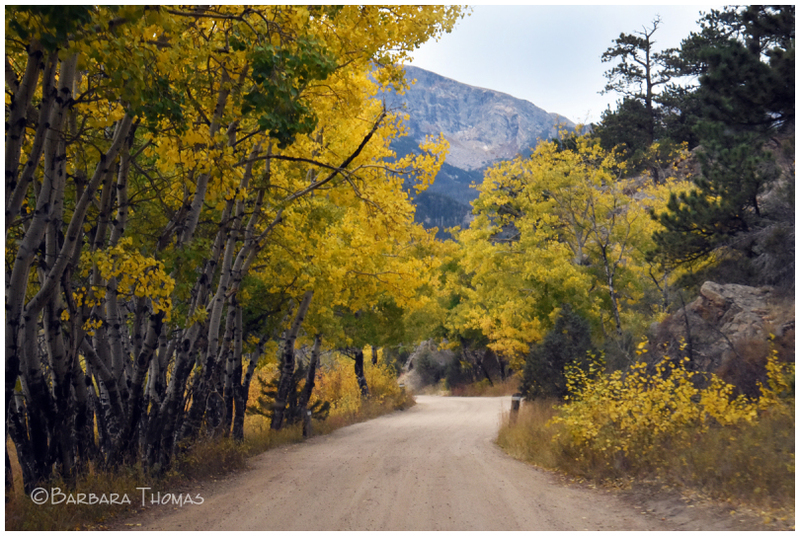 A scenic road in the Endovalley Area of Rocky Mountain National Park in Colorado. The aspen trees were at peak color. Beautiful compositionand superb green ! Lovely to see all this yellow. "...take me home, to the place I belong..." Thought of John Denver when I read your title. Nothing beats the lonely back roads through the heart of the country. That is where you get to see how things really are, not on the Interstates. @beach: You are so right. We are big John Denver fans. His songs are about nature and the things we love. That song is exactly what I was thinking of when I used that title. Oh, what an inviting PoV along this road with the autumnal colors that flank you!! A beautiful drive with those colorful leaves. Makes me want to drive right down it! This is gorgeous! I love seeing the aspen trees in autumn. It just looks so peaceful. A beautiful view! Superb perspective of the road and beautiful autumn colors!